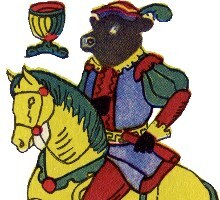 Naipes "ANGUS" designed by Gustavo A. Pueyrredón, depicting Aberdeen Angus livestock on the courts, special Aces showing trophies and two jokers dressed as Gauchos. Each card is signed by the artist. 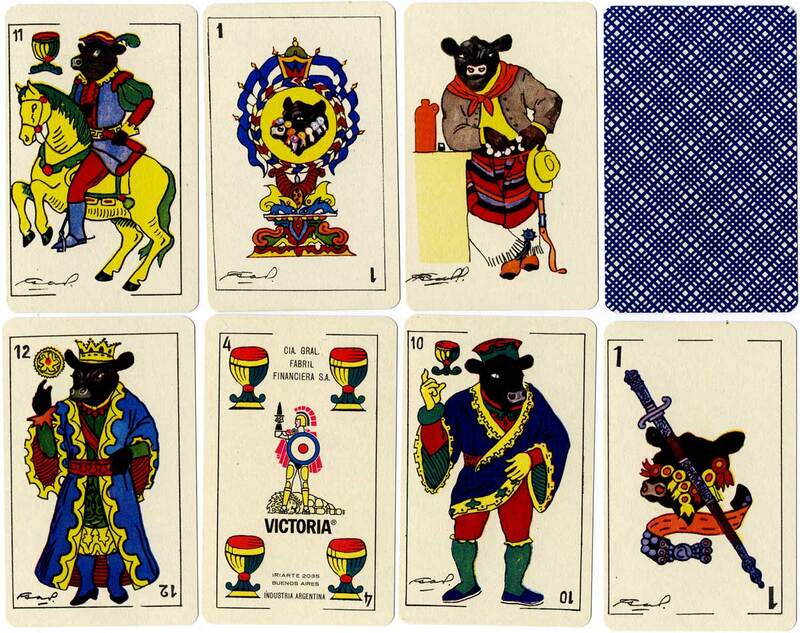 The cards are manufactured by Cía Gral Fabril Financiera, 48 cards + 2 jokers in a special box, c.1975.